Under Armour is shifting creatively from brawny footballers to ballerinas. Pivoting from its usual focus on men's athletic apparel, UA CEO Kevin Plank announced the brand's biggest-ever women's ad campaign in New York on Thursday. 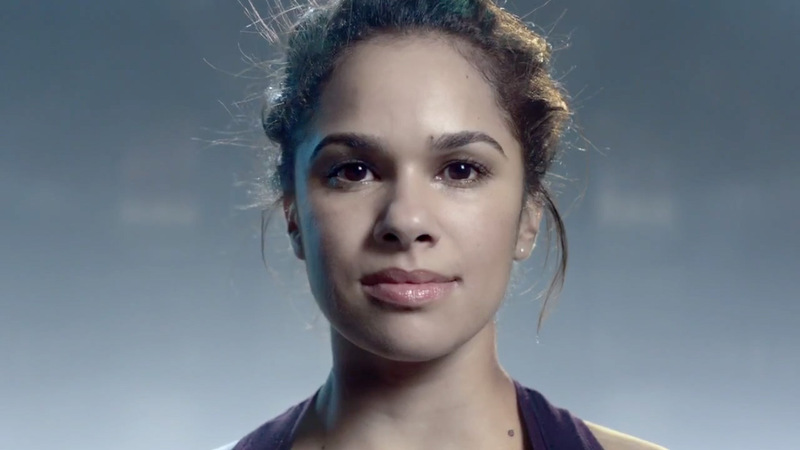 The first spot stars ballerina Misty Copeland. She'll be the face of UA's new "I Will What I Want" campaign, along with more famous female athletes: Olympic gold medalist Lindsey Vonn, tennis player Sloane Stephens and soccer star Kelley O'Hara. Droga5 is creating the TV, print and digital campaign. Copeland's moving 60-second spot shows her warming up while the voice of a young girl recites rejection letters she received over the years. "You have the wrong body for ballet. And at 13, you are too old to be considered," says the voice. Then we see Copeland fly through the air with athletic moves that are part ballet, part Olympic gymnastics. Despite the rejections, the spot notes that Copleand eventually became a soloist for the American Ballet Theatre. The spot broke Thursday night and will air on ABC, ESPN, MTV and E! The global campaign takes aim not just at female athletes but "athletic females," said Plank, an ex-college football player who launched UA from his grandmother's basement in 1996. These consumers are "looking to wear UA, and participate with it, beyond the pitch, the court or the field," said Plank. "She's looking to wear us to the gym. Or she's thinking about going to the gym and doesn't make it. But she still looks great all day." Focusing on a relatively unknown ballerina instead of a famous pro athlete is a "disruptive choice," admitted Heidi Sandreuter, UA's vp of women's marketing. But the move shows the "evolution" of the type of athletes UA wants to sponsor. "It speaks to how we're trying to incorporate more women into the fold," she said. David Droga, founder and creative chairman of Droga5, said the rejection notice recited in the spot is not an actual letter but a "compilation" of negative feedback that Copeland overcame. "It wasn't creative license to create fake hurdles," he said. "As she said on stage, these are all things that were said to her."